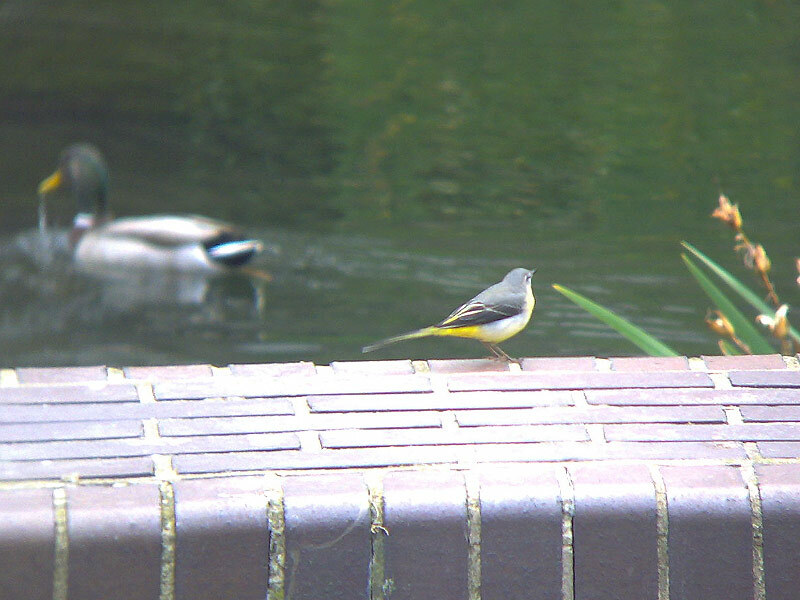 Before today I hadn't seen a Grey Wagtail at the Barbican Centre since June when, after last year's breeding success, I thought we could expect much of the same. 2006 saw three fledglings and two busy parents puting on a show for much of the summer around the main lake but this year's crop never seemed to materialise. 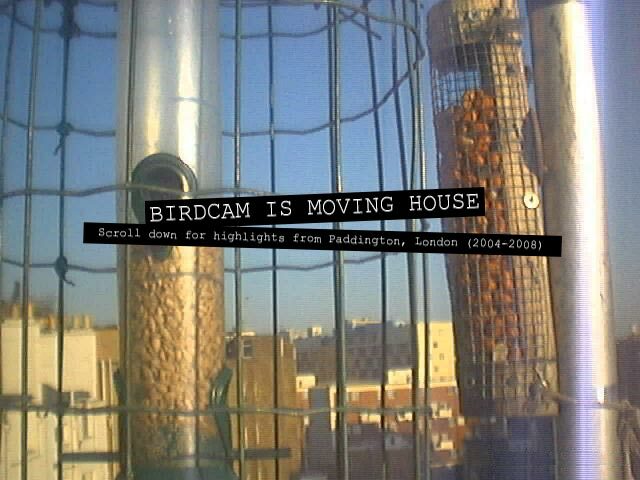 I'm still undecided about the identification of this one. 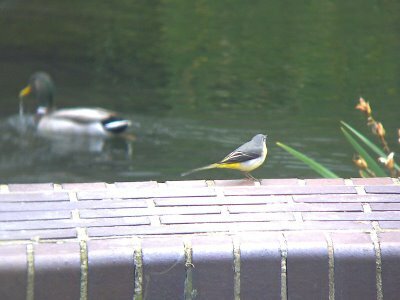 Despite the complete lack of any bib, suggesting this was a juvenile, it appeared distinctly adult with its darker legs and bill and yellow, not washy, breast. Conclusion: female with a very light throat.